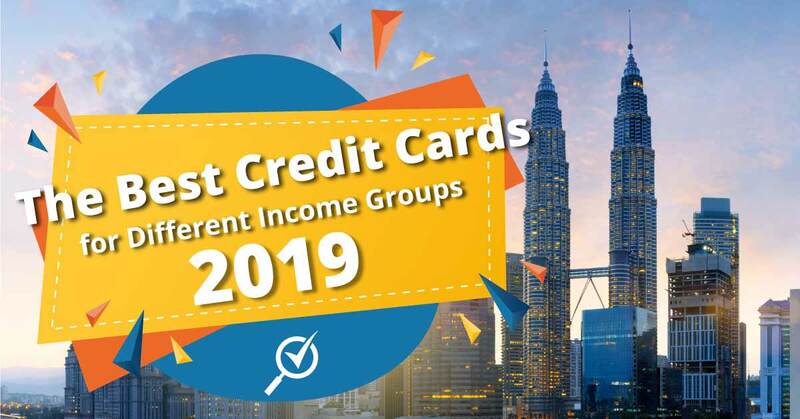 To save you the trouble, we’ve done all the hard work on your behalf and compiled the best credit cards for Malaysians across various income groups – from RM24,000 per annum right up to more than RM100,000 yearly. Being one of the most prestigious financial institutions worldwide, it should not be surprising that the bank offers one of the best credit cards available today. One of the best benefits that this card offers is unlimited cashback of 10% as well as cash advances every month when you pay at least the minimum outstanding amount on time every month. Befitting its name, the card offers added simplicity for users whereby the rebates will automatically credited in the upcoming month’s statement. Another reason to consider applying for this card is Citibank’s renowned exclusive deals programme, Citi World Privileges, which allows users to enjoy special promotions at about 10,000 outlets worldwide. As one of the country’s oldest and most established banks, it’s not surprising that Maybank’s credit cards are featured on this list. 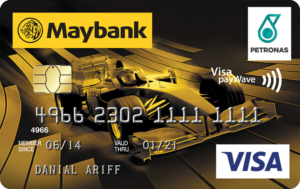 Coming in a pair, Maybank’s 2 Gold Cards consist of an American Express and a Visa credit card. The Amex card gives users 5X rewards points and 5% cashback for weekend expenditures, which are plus points to consider – especially if you are often out and about. Speaking of frequent travellers, these cards offer up to 50% savings at all SPG hotels and resorts in Malaysia. 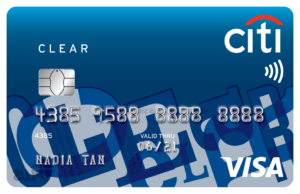 If you are just starting out in your career, these cards are a great option to apply for because of its zero annual fee – making them great introductory credit cards for mid-income earners. As far as rewards points go, this card is one of the best cards to have. The card offers up to 8x rewards points on weekends and 5x on weekdays per RM1 spent at Petronas petrol stations nationwide. Moreover, you can also use the accumulated TreatsPoints (rewards points) to redeem for Petronas petrol vouchers, enabling to save more on fuel! This card is most ideal for individuals who are often on the road, as they can take full advantage of it to redeem TreatsPoints while refueling at Petronas petrol stations. If you are a globetrotter, then this card is the one for you. This card grants its holders a myriad of travel privileges, including unlimited access to the Plaza Premium Lounges when you travel internationally, enabling you to indulge in the best luxuries that KLIA and KLIA2 have to offer. 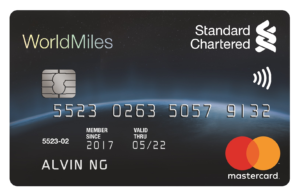 This card also enables you to collect 4.5 WorldMiles points for every RM3 spent overseas, which in turn can be converted into AirMiles for your preferred frequent flyer programme. Are you always on the hunt for the best entertainment events and the trendiest dining spots? This card was created for you to live life to the fullest. First off, you’ll be able to collect 30 BonusLink points for every RM10 spent on Shell petrol, Parkson purchases, dining, grocery shopping, and entertainment expenditure! By applying for this card, you’ll also have 5x yearly access to Plaza Premium Lounges in various destinations around the world, including Malaysia, London, Hong Kong, Taiwan, and many more! You’ll also be entitled for up to RM2,000,000 worth of travel insurance. Unlimited access to Plaza Premium Lounge in Malaysia all-year round? Check. PremierMiles points that never expire? Check. Deals and discounts in over 90 countries globally? Check. Travel more miles and in style with less hassle with this card. Earn 2 PremierMiles points for every RM3 spent overseas and on selected travel merchants such as AirAsia.com, MalaysiaAirlines, Agoda.com, and AirBnB. 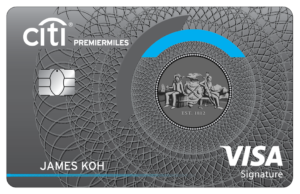 Moreover, as a Citi PremierMiles cardholder, you’ll be rewarded with 10,000 PremierMiles every year on your card anniversary upon paying your annual fee. You can also use PremierMiles to offset your purchases. Best of all, these rewards points have no expiry period – meaning that you have your whole life to enjoy the benefits they offer. With all that is said and done, you have to keep in mind that regardless of how good a credit card is, you should still use it responsibly to avoid yourself from falling into the treacherous pit of debt. If the recommendations above are not what you’re looking for, you can access our comprehensive list of credit cards here!